The booklet was originally published in 1998 by the Marathon County Historical Society and the Marathon county Sesquicentennial Committee. 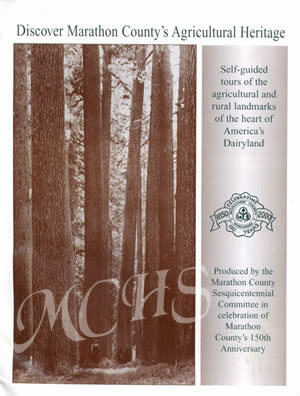 This second edition was produced in 2000 by the Marathon County Sesquicentennial Committe in celebration of Marathon County's 150th Anniversary. Free copies of this driving tour can be picked up at the Marathon County Historical Society and the Central Wisconsin Visitors Bureau. Shipping charges apply for all booklets that are sent by mail.